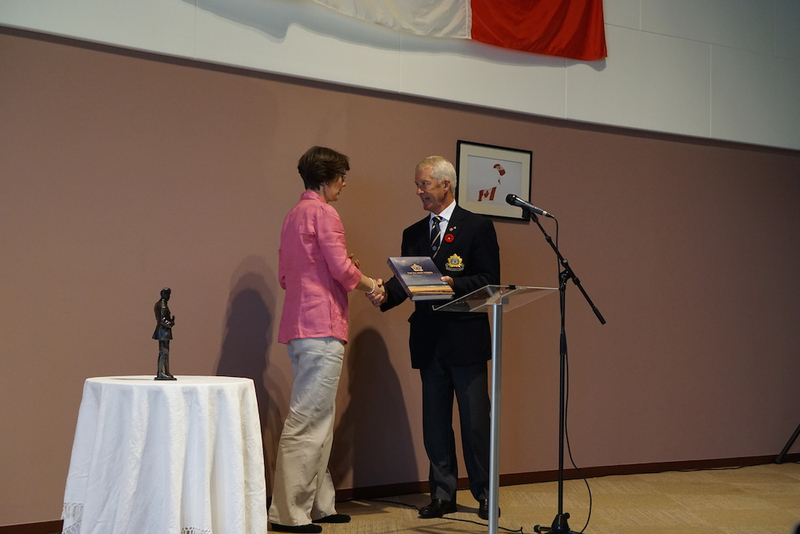 On June 9, Honorary Colonel Andrew Paterson, of The Fort Garry Horse, gifted the Juno Beach Centre with the donation of a bronze statue of Sir William Stephenson. 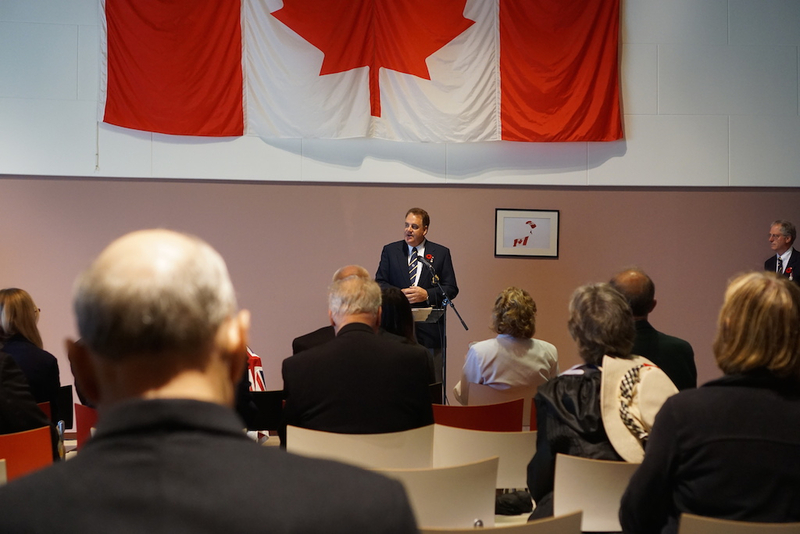 A tribute to the members of the French Resistance to recognize their contribution and sacrifices in the preparation for the DDay invasion of Normandy and the Liberation of France. 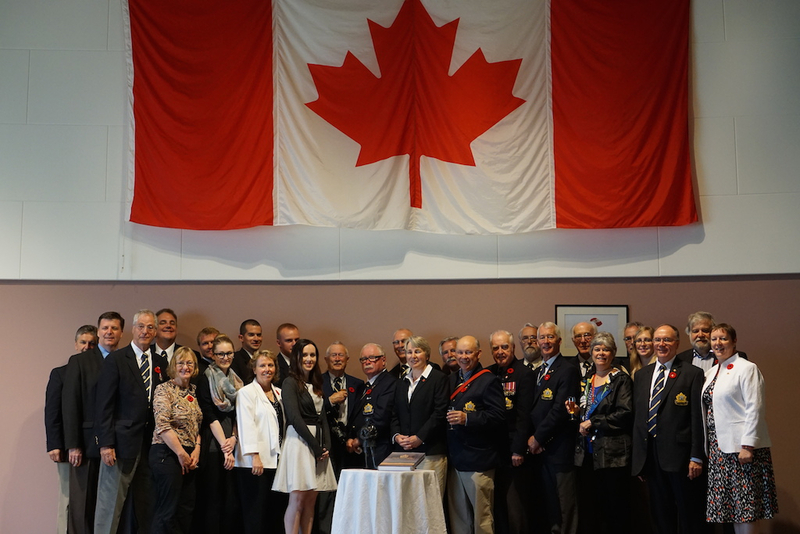 In the presence of HLCol Bob Williams – Fort Garry Horse; Mr Gérard Fournier – President of Association Résistance et Mémoire; Erin Brown – the artist; members of the Canadian delegation and representatives of the Juno Beach Centre. 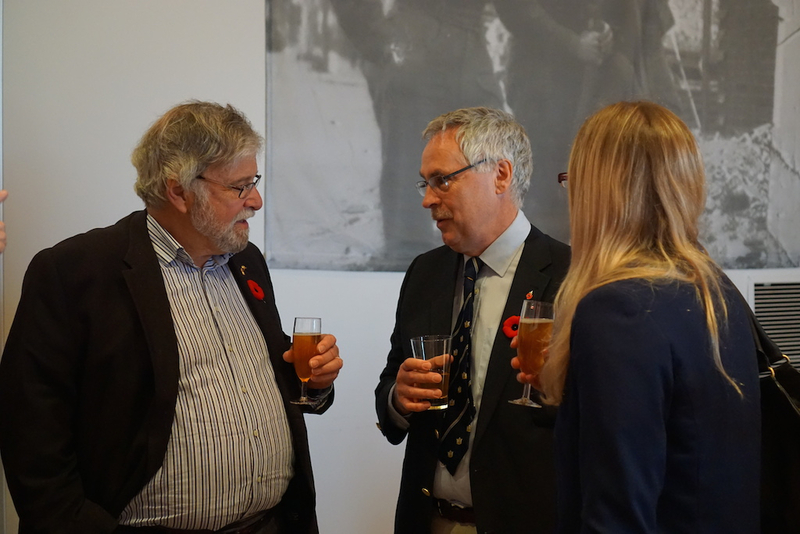 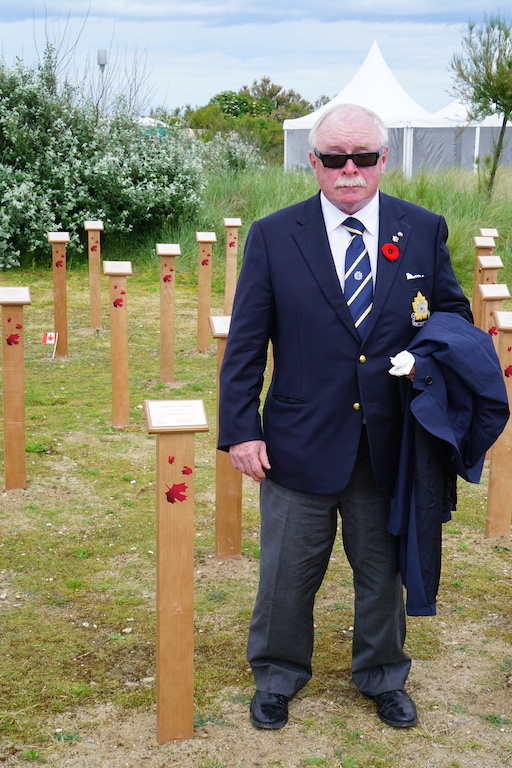 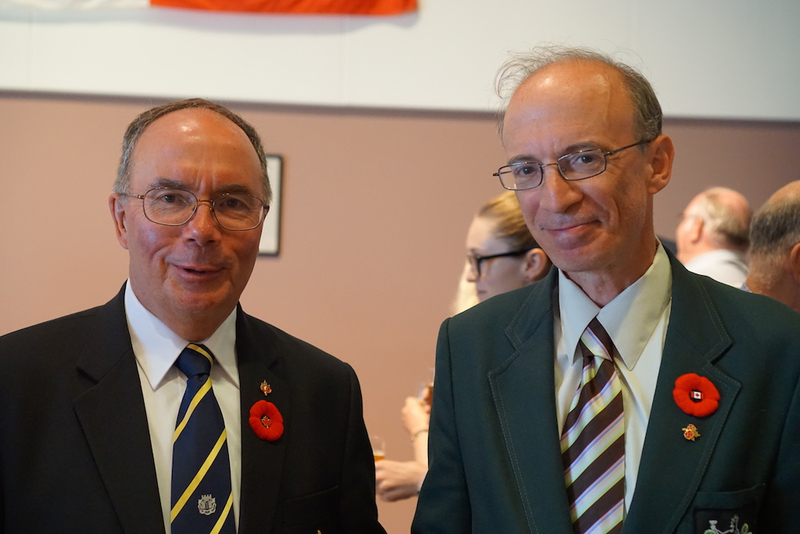 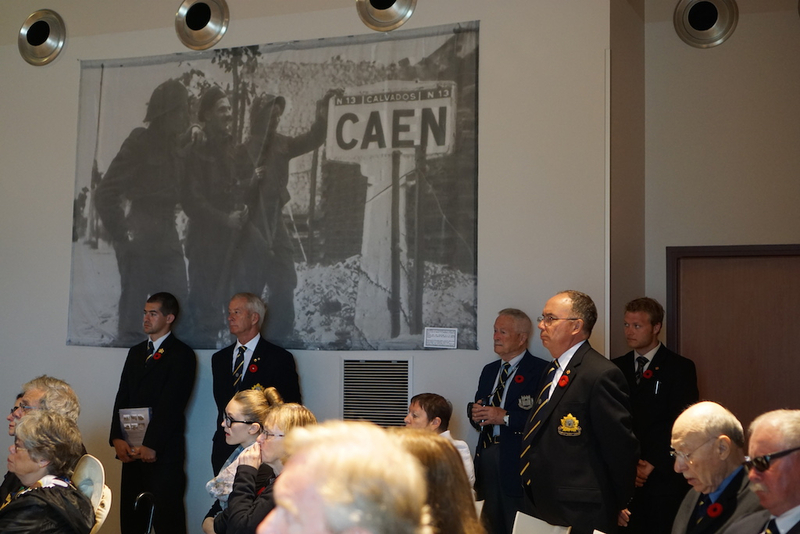 This event was sponsored by The Fort Garry Horse, The Intrepid Society of Canada and Whiteshell Art. 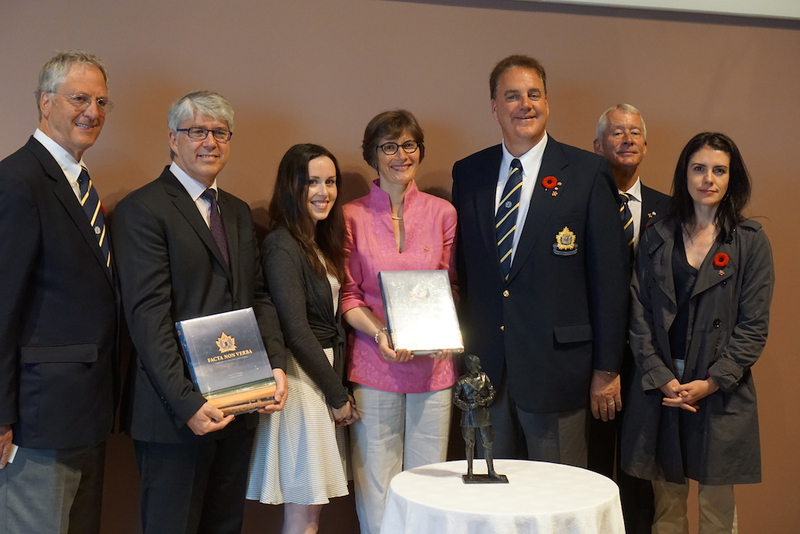 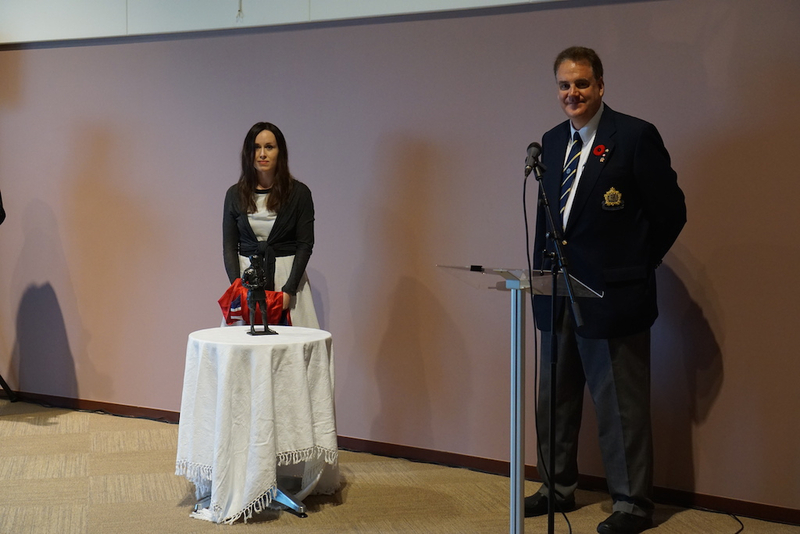 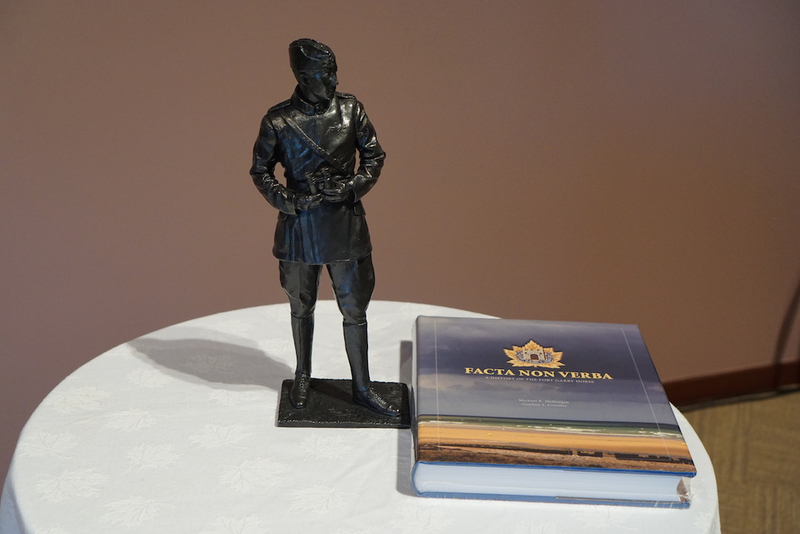 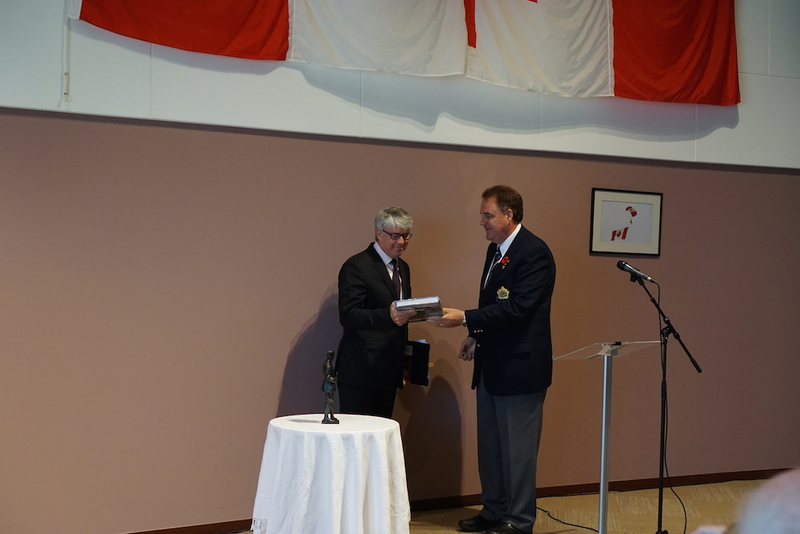 The statue is now presented in the room of the permanent displays named “Roads to Victory” where a section is dedicated to Canadian Agents with the British Special Services, including a section about Sir William Stephenson. 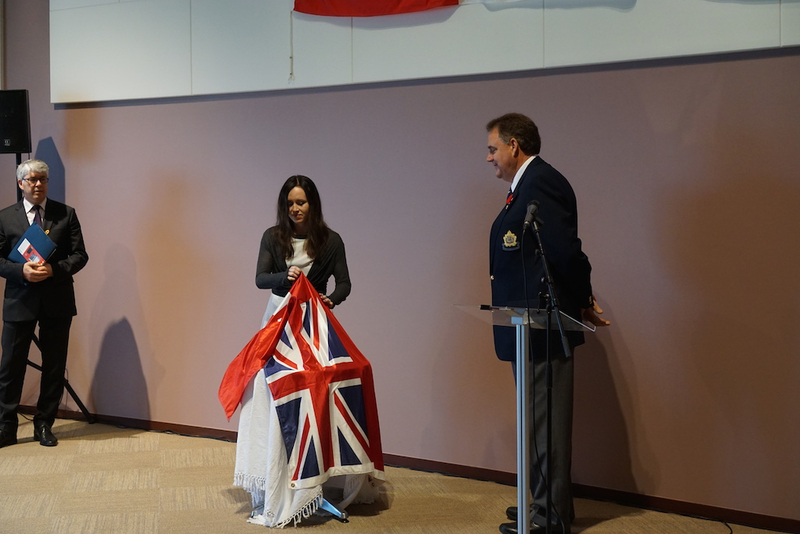 Thank you to everyone who attended this very special event!